Sanije TAFA is the main partner and administrator of the “GoldsMath” LLC. She is a CA and CPA and Expert of Immovable Property’s. 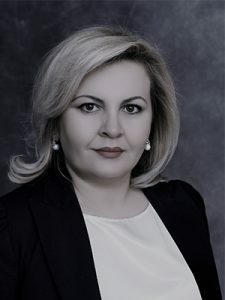 Mrs.Tafa is graduated on 1978 From University of Tirana for Economics Science, she is a member of the Authorized Accounting Expert Institute IEKA, and IFAC. Her experience starts as an accountant and then as Head of the Department of Finance in various Public Institutions since 1978 with more than 18 years of experience in the field of finance and accounting, until 1996 the year in which she received the title Expert Authorized Accountant. She has experience for about 22 years as an Legal Auditor of financial statements tax and consultancy on various sectors of the trade industry, for private public and financial institutions. Ms.Tafa, has a long experience in auditing public and private institutions with International Financial Reporting Standards SNRF and Local Standarts. Rovena AGOLLI is the Managing Partner of the “GoldsMath” LLC. She is CA and CPA with 15 years experience in accountability, Auditing and Financial Advisory Services. She is graduated in Finance from Tirana University, Faculty of Economics, has a Msc. in Finance & Accounting. Mrs. AGOLLI is specialized in Financial Services industry, and has extensive working knowledge of International Financial Reporting Standards and Local Accounting Standards. She has strong knowledge on Albanian Tax – Legislations with long experience in compilations of financial statements, financial reporting, etc. Mrs. Agolli is a module designer and lecturer of “Practical Accounting”. She is member of Authorized Accounting Expert Institute( IEKA). 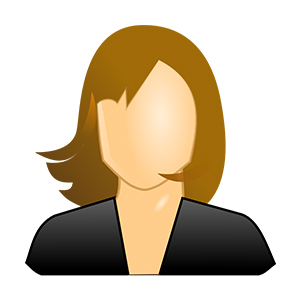 Eda TUFINA is the administrative manager of the “GoldsMath” LLC. She has a degree in Law and a Master Degree in Business Management. Mrs.Tufina has an experience over 15th years in Law ,Tax and Administration.